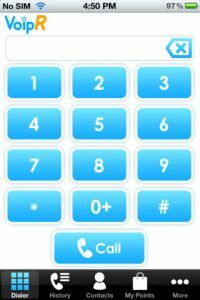 If you’ve been looking for a cheap solution to your phone bill woes, check outVoipRfor iPhone, developed by Dellmont SARL. 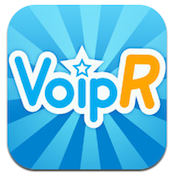 With very low prices for phone calls, an easy to navigate interface, and great call quality, VoipR is definitely worth trying out. VoipR works on a point-based system. 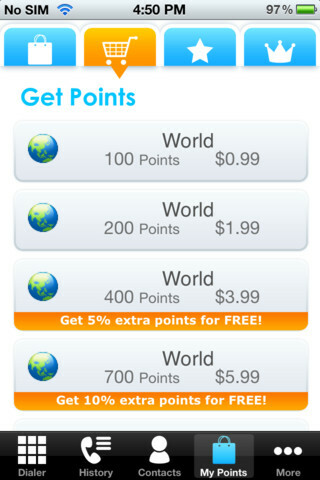 You can buy points from within the iPhone app. 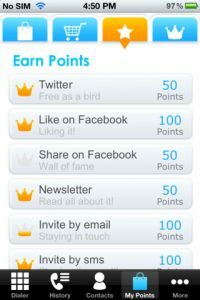 Additionally, there is a social networking element that gives you points based on completing actions like tweeting about the app or Liking them on Facebook. 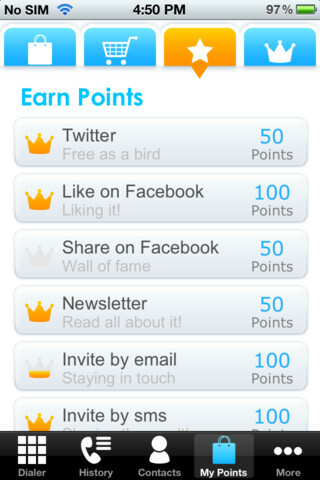 Just for starting your account and verifying your info, you’ll get about 200 points to play around with. Calls cost you 1 point per minute. 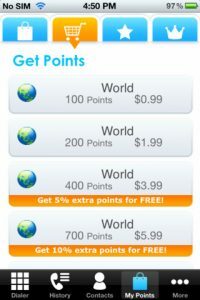 Additional points can be purchased in the app: 100 points will cost you 99 cents, with larger point packages getting a slight discount. Overall, the user interface is very good. 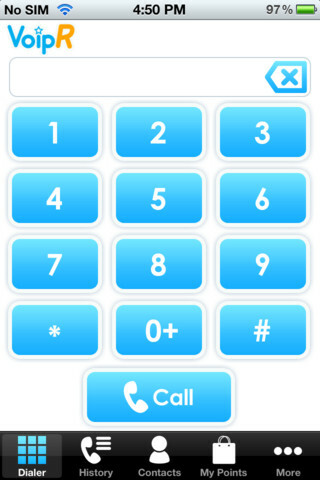 It’s easy to navigate, and allows you easy access to your existing contacts for making your calls. However, it is worth noting that despite trying a re-install, I had issues with creating and verifying my VoipR account on my phone due to faulty, unresponsive buttons on the screen. Only by tapping the “verify” button furiously and repeatedly was I able to finally create my acccount and get started. However, the buttons in the app proper all work just fine. It must be noted, however, that their customer support is excellent, and that overall the user experience VoipR offers is excellent. 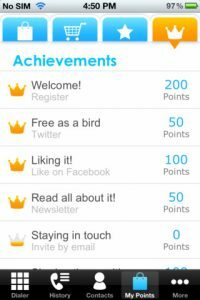 While the first version of VoipR had some bugs, Version 1.01 includes a bug fix to deal with the previous issue of points and achievements not loading properly. With bugs taken care of (except for the problematic “verify” and “continue” buttons during sign-up), VoipR offers crystal clear voip calls on your iPhone at very reasonable prices. VoipRis compatible with iPhone, iPod touch (2nd generation), iPod touch (3rd generation), iPod touch (4th generation), iPod touch (5th generation) and iPad. 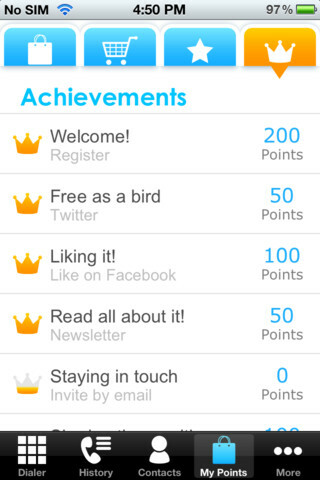 Requires iOS 4.1 or later. A small expedite fee was paid by the developer to speed up the publication of this iPhone app review.